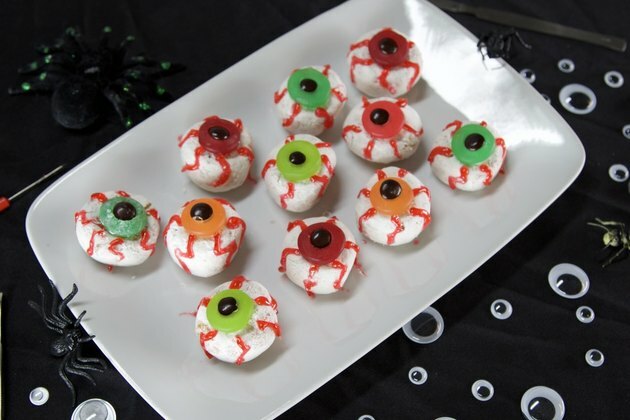 Your guests won't be able to take their eyes off of these creepy sweet treats. 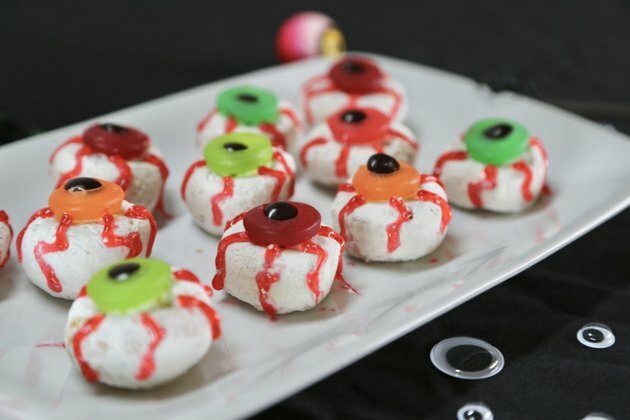 The flavor combination of classic powdered donuts and sweet candies makes these mini dessert eyeballs the perfect finger food for your Halloween celebration. Follow these simple steps to make your own in just a few minutes! Create the eye pupil and iris by stretching a Lifesaver gummy around an M&M. Then place it on top of the mini donut. If chocolate isn't your thing, feel free to use fruitier alternatives such as Skittles! 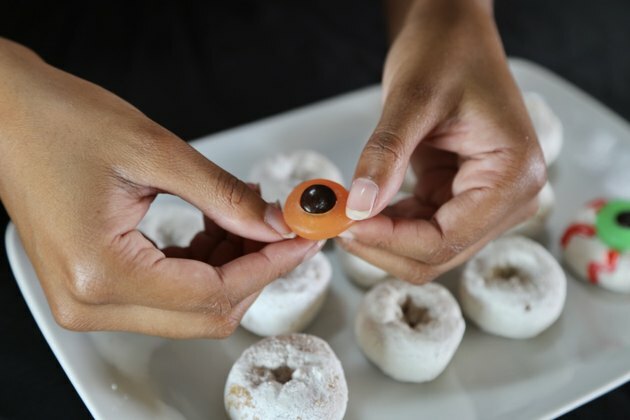 Use the gel icing as a glue to bond the candies to the donut, if you'd like. 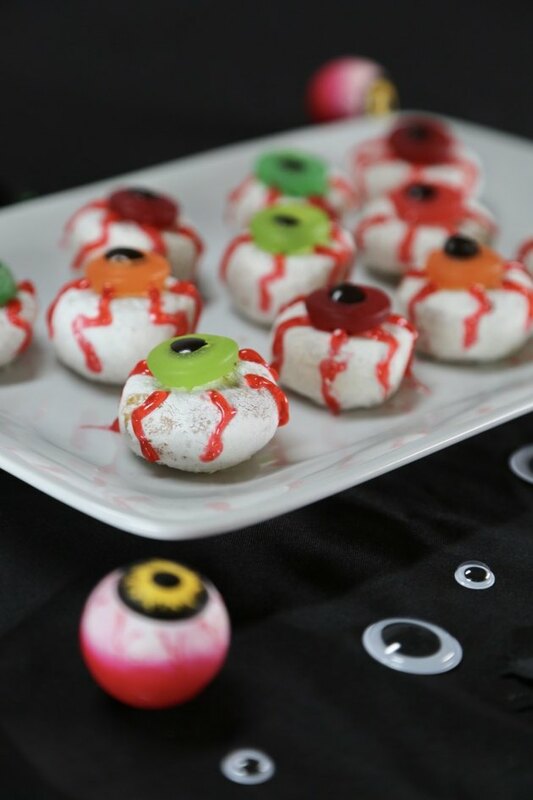 Use the red gel icing to draw squiggly lines around the donut, creating the look of eye vessels. It's easy to see that these treats will be the stars of your snack table.